I hope everyone has learned from their mistakes last year and look forward to starting over in 2017. With the new year comes a series of resolutions that many people make, in the hope that they will accomplish as many, or all of their resolutions that they made for 2017. There's 363 days to go until we get to December 31st, so hopefully you've started yesterday and today with good effort and commitment to accomplish your resolutions or goals. Last year, I was introduced to this reading challenge and shared it with my father and he accomplished reading 16 books. I, on the other hand, attempted to read 30 books, but only accomplished reading 7. It was a challenging goal for sure because I don't read very fast, or much in the course of a month and this would have called for me to read at least 2.5 books per month, to reach my goal. While I do read every day, much of my reading is focused in the bible and other surrounding resources related to my study and sermon preparation each week. This year, I'm going to make a stronger effort, to read 16 books minimum for the year and that would mean that I'd have to read one complete book and have completed 1/3 of a new book in the same month, to reach my goal by the end of the year. This is definitely doable too. Last year I was introduced to the reading challenge from Tim Challies website and he had a VERY aggressive list of books that he would read. I only wish I was as voracious a reader as he is. 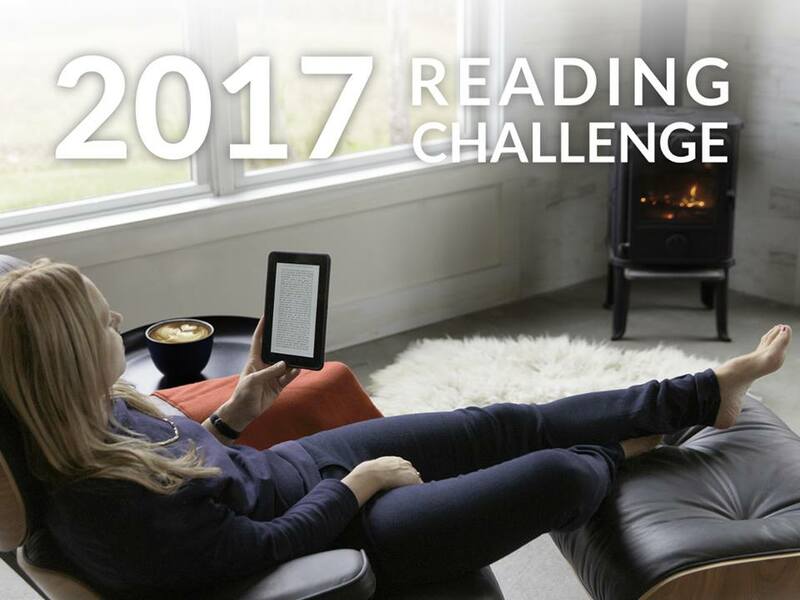 Click here to read his post on the 2016 Reading Challenge. Tim has posted a challenge for 2017 too, which you can read here. This year's Reading Challenge is from Amazon Kindle and Goodreads and the Goodreads website encourages readers to commit to reading a certain number of books for the year, so I say, "Are you up for the challenge? I am!" So what will I plan to read this year? I have created a list in Evernote and these books won't be read in this order, but they are the ones that are on my Kindle and I have started to read them, but just haven't finished. I'm no where near finishing any of these books either, to accomplish my reading list more easily either. When I was on my first deployment to Okinawa (1992-1993), when I served as a United States Marine, the first long book I read was The Sum of All Fears by Tom Clancy. This book was 914 pages and I was never one to enjoy reading books with that many pages, but when I began reading that book, it was great and held me very captive to the story and just continued reading it every day. I don't remember how long it took me to finish the book, but it might have been a month. After working and then eating chow, maybe doing some PT in the evening, all I had was time and just occupied myself with reading, instead of possibly getting into trouble, or drinking too much. Thankfully, I was reading. I enjoyed reading The Sum of All Fears so much that I then found Clear and Present Danger again by Tom Clancy and read that book, 704 pages and that one might have been on my second deployment (1994-1995). So, now as a pastor, I've got quite a library of books to read. A lot of theology related paperback and hardcover books. Quite a few commentaries and I'm grateful for those books that I've received as gifts from various people too. I remember when I first visited the library at the ATS seminary, I saw a who set of Charles Spurgeon's commentary, The Metropolitan Tabernacle Pulpit and was just in awe of not only this literary work by Spurgeon, but the number of other books that were there, providing a wealth of knowledge for me to experience and learn. So, what will you be reading in the New Year? Will you challenge yourself to read more? Will you participate in the Reading Challenge? I hope you will.